It’s a really beautiful look and is easier to create than you think! 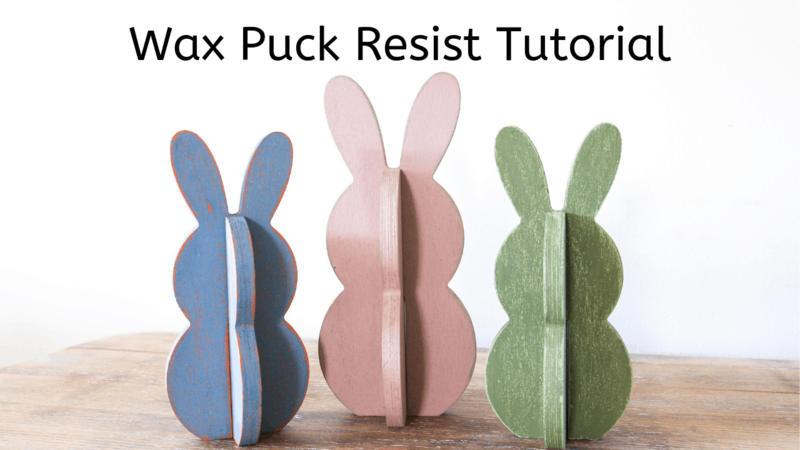 The trick is using a Wax Puck by Miss Mustard Seed’s Milk Paint to create a “resist”. A “resist” is created when you use a product (often a wax or oil) in between layers of Miss Mustard Seed’s Milk Paint with the intention of distressing to reveal the layers underneath. I recently created a resist on an Easter-themed project for one of my upcoming Miss Mustard Seed’s Milk Paint paint workshops, and I thought I’d share the process with you today! To begin, choose which surface you’re going to paint. I recommend wood surfaces like furniture pieces or raw wood craft projects. 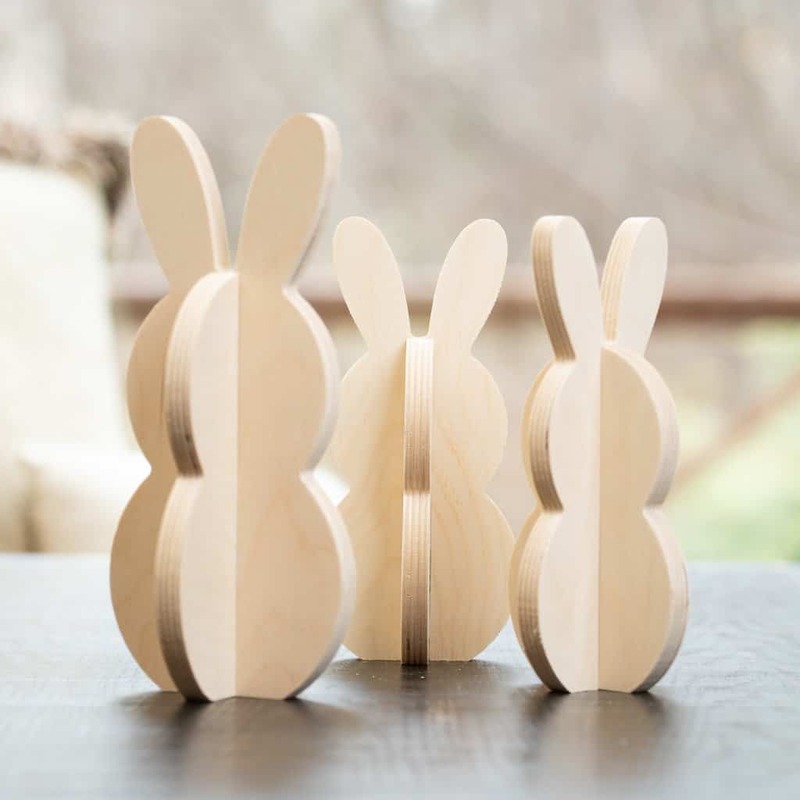 My subjects of choice are these adorable slotted wooden bunnies! I don’t recommend doing this technique on surfaces like plastic or glass. It’s best done on a porous surface. I’m going to keep my source to myself for now only because I’m using these little guys for Milk Paint workshops, but you can find items like these in the unfinished wood aisle of any craft store. To show you the process in action, I made a quick 2.5 minute video tutorial. Enjoy! In case you didn’t catch the color combinations I used on my little bunnies, here they are again. 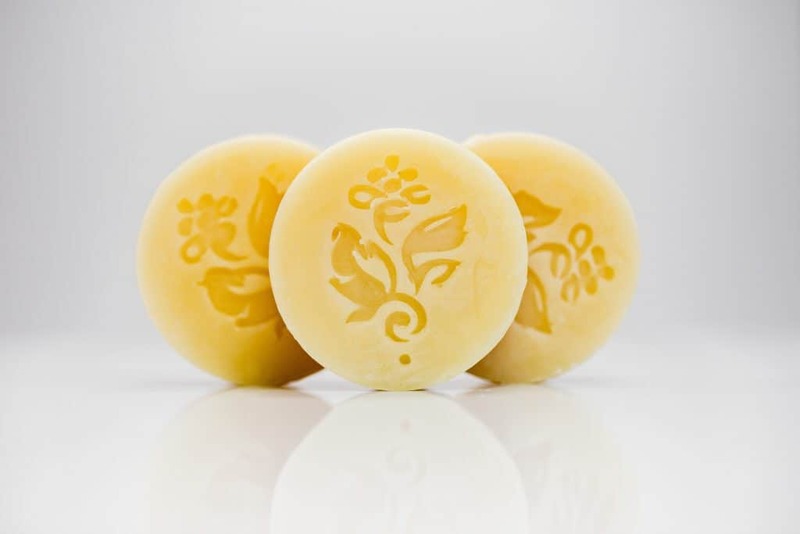 Wax Puck resists work best when you choose colors that have a high level of contrast. See what I mean? You can really see the Outback Petticoat peeking out from underneath the French Enamel, can’t you? Layering different shades of the same color can create a striking contrast! Take this example of layering Boxwood, which is a dark grassy green, over Lucketts Green, which is more of a vintage shade of green. For a subtle look, layer soft colors over one another. For the largest bunny, I painted Schloss on first and then topped it with Arabesque. These lovely springtime colored trio of bunnies are perfect for Easter! 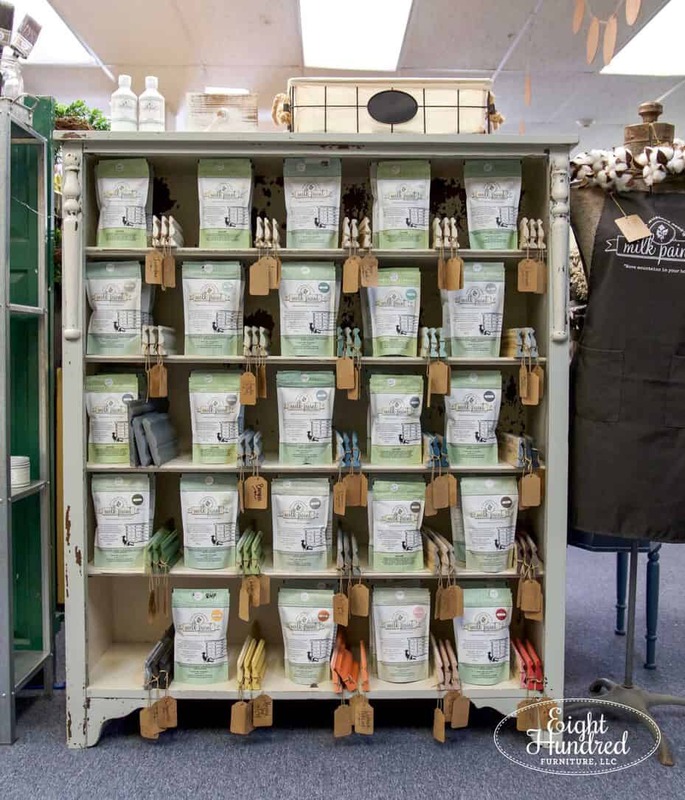 Pick up the Miss Mustard Seed’s Milk Paint products I used in this little project from my retail locations at Morgantown Market and Homestead Studios. The combinations of colors you can come up with are endless! If you’re not local to me, I’m happy to ship product to you. Simply drop me an email and let me know what you’d like. 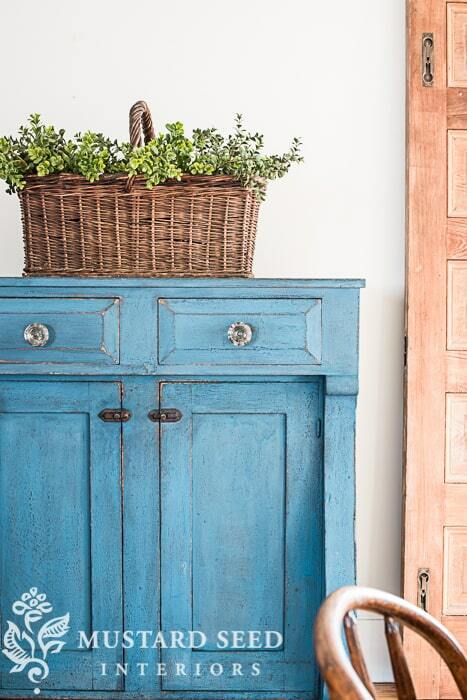 Find a Miss Mustard Seed’s Milk Paint retailer in your neck of the woods by visiting their website here. I really enjoy your blog and watching you and your business grow! I could never figure out how to leave a comment before you updated your blog. Yes! There’s a reason for that. Wix didn’t support commenting on individual blog posts, so I couldn’t use that feature. One of the many reasons why I switched over to WordPress! Thanks for following along, Linda. I appreciate it! This is a awesome project! The layering really creates an interesting, demensional look to the bunnies! Hi Jen, been following your blog for a while now. So glad I can comment! I live close to Homestead Studios and recently purchased the Radio Cover you had there. I just want you to know my husband and I LOVE that piece. Every time I turn the corner and see it, I smile! Thanks so much for creating beautiful pieces of furniture!! I’m so glad you love it, Michelle! I thought that little piece was so darn cute. So glad you love it too! Thank you for the video. I do have the wax puck but never used. The bunnies are nicely done. I always wish I lived closer to your area. I manage to travel there once or twice a year but never more than for a day or two. I love bunnies and all spring decor. These are so cute. Thanks Susan! I’m very pleased with the way they turned out 🙂 Thanks for stopping by and reading! I’m so excited to know the secret to the layered paint finish. It’s really beautiful. Hunting for furniture now and pinning! This so cool! Love the bunnies you used, too. (giggle) I’ve seen the pucks before, but it’s nice to see them in ‘action’. I love the bunnies and the resist process is so cool. Loving your new site by the way. Thanks for stopping by Sonya, and I’m so glad you’re enjoying my new site. I sure am! Best to you as you venture into your remodel project!